We drive cars, go on adventures, and tell you all about them. We're based here in Arizona, but explore wherever the road may take us, all the while keeping in mind the adventurous spirit that defines the Southwest. Let us take you with us. The Southwest Lifestyle Media Drive brings journalists together to evaluate vehicles based on the features that are most desirable for everyday, active lives. Sure, we want to talk about torque, suspension and horsepower, but most importantly, we want to know if the vehicle will please on a road trip (whether mild or ruggedly off road, or on a weekend jaunt to grandma’s). If it can adequately accommodate gear (mountain bikes, sports equipment, or a Costco trip’s worth of groceries). And, if you think you could love it for 79.3 months (the average length of vehicle ownership, according to IHS Markit). If consumers are planning to keep their vehicles until they feel that seven-year itch, or even beyond, we want to talk about factors like reliability, safety, versatility and other features that will suit their lifestyle for the longest period of time. That’s what the Southwest Lifestyle Media Drive is about. Creative people who are passionate cars and travel, and decided to put together an event to share the love with other likeminded journalists and adventurers. Becky has been writing about cars and travel for more than 20 years, starting as editor for AAA Arizona, and contributing to various local and national publications. She is the founder of Southwest Lifestyle Media, and also contributes to Arizona Foothills Magazine Vroom blog. In addition, she works as a public relations and marketing copywriter. Wally has been active in motorsports for 40 years, with 30 years' experience in motorsports media promotion. You can also catch him every Sunday morning on KTVK's Good Morning Arizona, where he has been the auto expert for 10 years with his "Time to Drive" segment. Cathy has test driven over 500 vehicles, reviewing them on TV, radio, social media, and for her website, HerCertified.com. She is the author of "A Woman's Guide to Buying a Car with Confidence and Street Smarts," and the founder of HER Academy, an online sales/service training program for dealerships and manufacturers. She is a professional speaker and on-camera expert on what women want in a car buying experience. Tyson is a contributor to Arizona Driver Magazine and stays busy blogging about his road trips around the Southwest on his website, Drive to Five. He also volunteers with the Phoenix Automotive Press Association and has played a role in the growth and evolution of the Southwest Lifestyle Media Drive since 2012. Sandra is the creator of Latinaology.com, an inspired lifestyle and auto blog with Latina flair, and the first and only Hispanic journalist in Arizona. She has a weekly column in Prensa Hispana, Arizona's top Spanish language newspaper, and is a writer for Digital Trends en Español. She also directs an award-winning marketing and social media consulting group that specializing in connecting clients with the Hispanic market. An automotive and travel writer, Jim first drove when he was 12 years old, “borrowing” his grandfather’s Ford pickup truck on the family farm in Michigan. He’s been a car enthusiast ever since. His passion for cars and travel have taken him across the country and around the world in search of interesting drives and great stories. His auto reviews and travel stories appear nationally in print and online. You can catch him on several local TV stations, sharing his automotive and travel expertise. 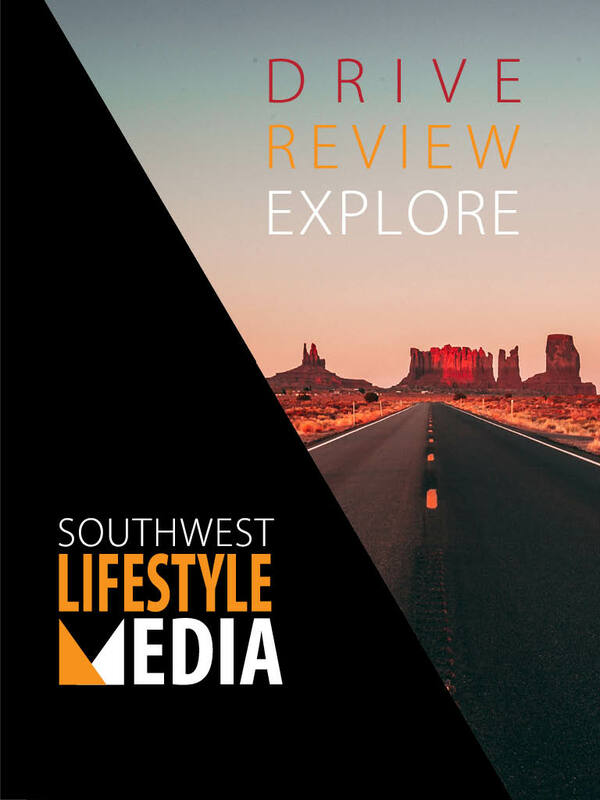 For more information about Southwest Lifestyle Media, or our drive event, contact Becky Antioco at becky@southwestlifestylemedia.com, or 480-241-1485.